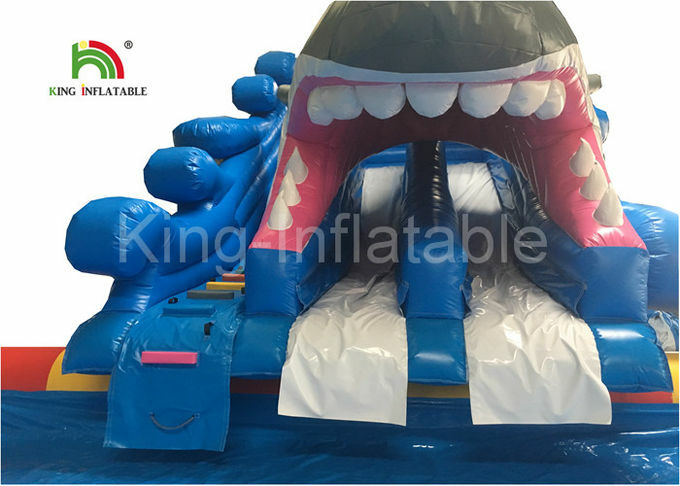 We mainly design, produce and export all kinds of commercial grade PVC inflatable product, if you want any design inflatable slide, bouncer, advertising, idea etc, you can just send a picture or simple drawing to us, we can design and make almost same one for you with more economy price than your local market, please contact us for your detailed request and make a quotation. For swimming pool, we use 0.9mm PLATO PVC Tarpaulin material with airtight system. 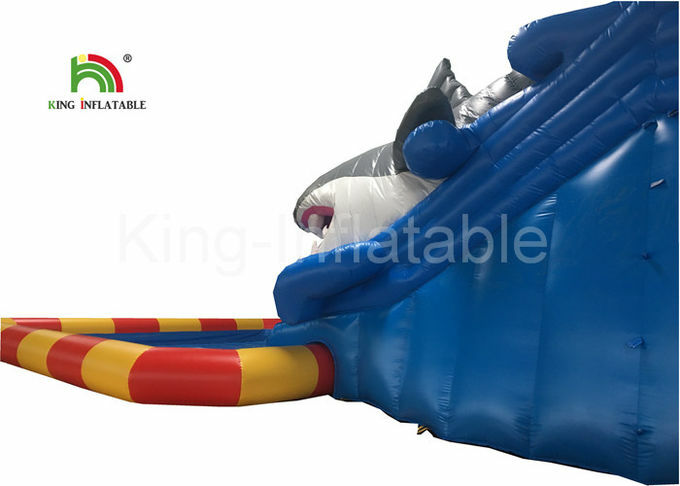 For part inflatable slide, use0.55mm PLATO PVC Tarpaulin material with constantly blowing system. All material are from PLATO company which is best supplier in China. Good quality material ensure our products durable , anti-tearing, more using life span. we use customized 0.9mm 28*26 PVC tarpaulin, which is more durable, more comfortable, less creases after packing and easy to clean. 4) Stable Connection System. Bouncia created original eyelet connection and anchor ring connection system which make the whole park very stable. Q: Can we customize the units with our choice of colors? A: Yes you can choose your colors at no additional cost. Q: Can we put our company logo on the inflatables? Q: What will be the shipping cost? A: Shipping is depend on your closest port, it's different for each port, please contact our customer service to confirm. Q: How many people does it take to set-up and pick-up a regular size inflatable game? 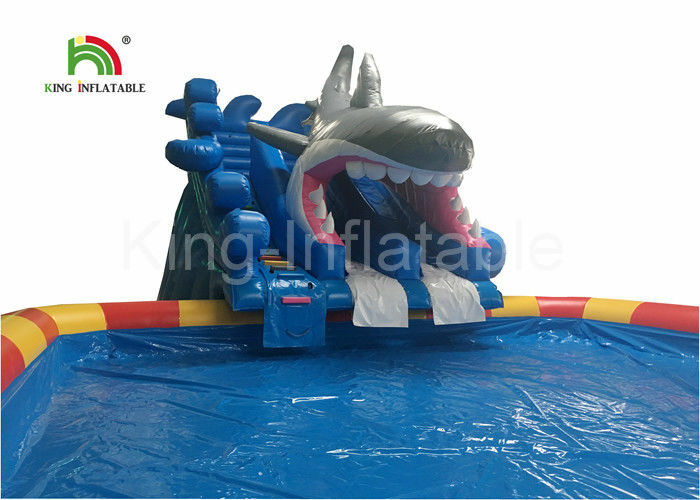 A: One person can easily operate a regular 13'x13'(4mx4m) size bounce house, cost around 10 minutes. 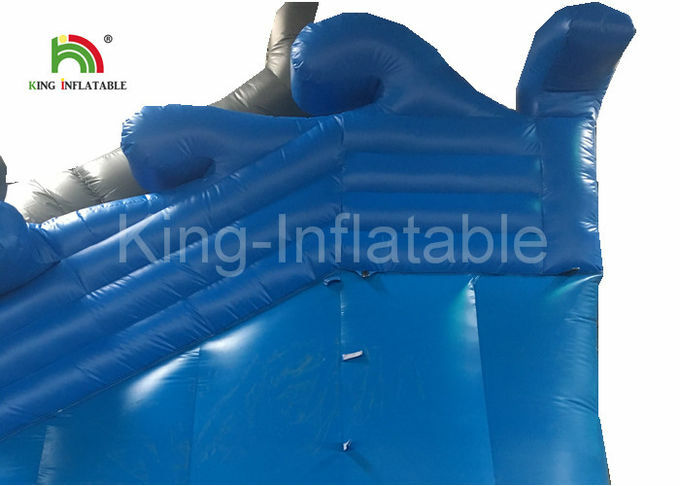 For more bigger size inflatable game, please contact our salesman for more details. A:The larger items like water slides and inflatable obstacle courses can take anywhere from 10-15 days. Custom made orders take about 10-20 days, depending on the style, size and structure. Q: What happens if I want to purchase something that you do not have?